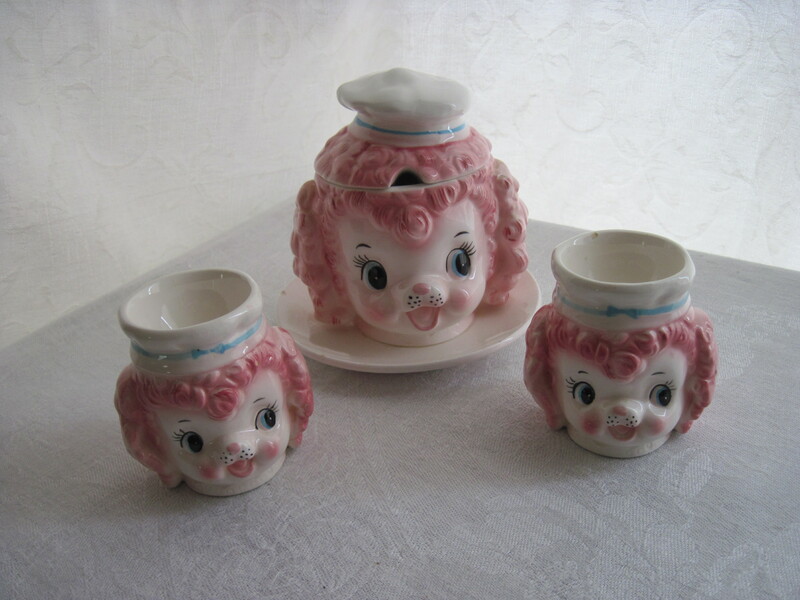 Lefton poodle condiment or jelly jar and 2 egg cups. Apparently these are rare items. I saw the jam jar listed on ebay for $295.00. Made in Japan for Lefton Co., mid century, for the export market. Lefton continues to this day. These will be listed on ebay for sale soon.